Here we have a rather fetching Raleigh folding bike ready to go! 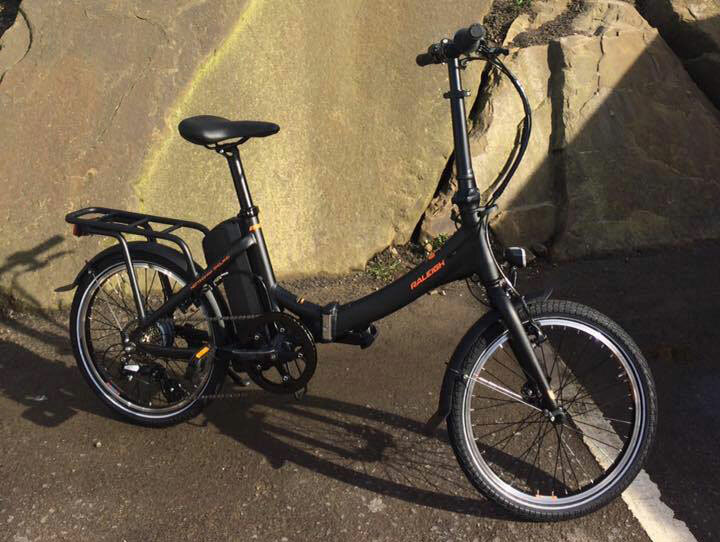 Ever wondered what the electric bike hullaballoo is all about? Come and find out for yourself this Easter weekend at the Cragg Vale shop.